Long-Term Care: Is This for Your Loved One? Services providing long-term care can both involve medical and non-medical cases. However, in most conditions, it will be the medical needs of a patient that will require much attention on a long-term basis. Most providers of skilled nursing in Denver, Colorado are required to give assistance to patients in their chosen location of care. In today’s generation, the existence of home health care providers has given better comfort to those patients and elderly loved ones who want to be cared for at home. 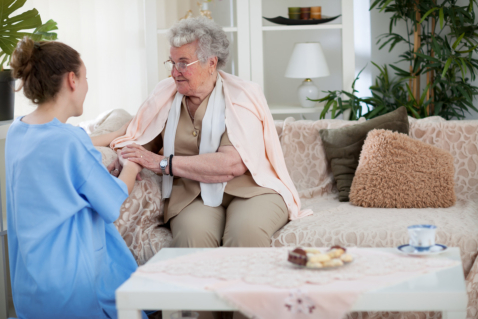 Because of highly qualified and licensed care providers, the care needs that used to be done at the hospital or nursing homes only can now be administered in the patient’s home. The next issue to consider is who will need long-term care the most. Who are at most at risk of needing long-term care at home? When your loved one is going through a chronic illness or if they’ve been to an accident that renders them disabled to move about, they will benefit from the help of providers of long term care in Denver, Colorado. When disabilities occur, the person’s quality life is lowered, and this can lead to other physical and mental issues. But when someone is tending to them, these risks are reduced. As a person ages, their health and medical needs also increase. They will have to be attended to in their later years as they can be prone to falls, depression, and malnutrition, all of which are harmful to their health. When you have an aging family member and you can’t be with them 24/7, request for care providers to step in for you. Their assistance can do a lot in ensuring the safety and wellness of your loved one. Loved ones with serious medical conditions, including chronic conditions and being bedridden, they will benefit greatly from assistance from long-term care providers. When your family line has risks of acquiring illnesses, it will be wise to save up for this type of service early on. It’s been observed that women tend to outlive their spouses or partners by an average of five years. Because of this, elderly women are most likely stay at home all by themselves. When this is the case, they will truly need double care and even a 24 hour care level. When your aging loved one is living alone at home, this is a greater need for assistance from long-term care providers. There are many incidences or accidents that tend to happen to seniors who live all alone. For individuals or elderly who require long-term care in their homes, our team at Home Health Preferred, LLC is ready to assist them. We’ll be right there with you when you contact us for an appointment. This entry was posted in Home Health Care and tagged Care Provider, Medical Condition, Skilled Care Provider. Bookmark the permalink.